A well appointed workhorse rig that offers a full sized keyboard, good speakers and an excellent display though its modest endurance means its best suited for short day-trip forays out of the office. 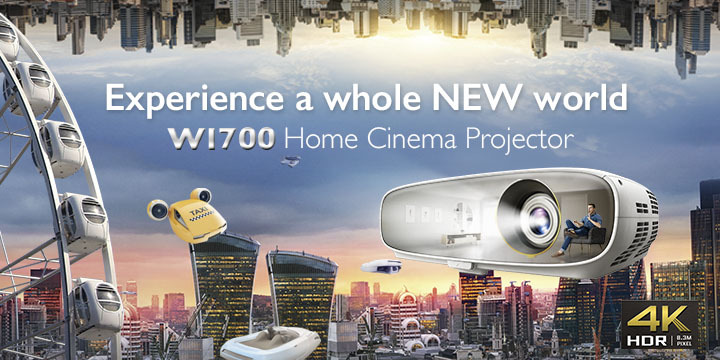 ASUS has made significant inroads in making affordable workhorse rigs for users with their VivoBook range offering a fair balance of price and performance. 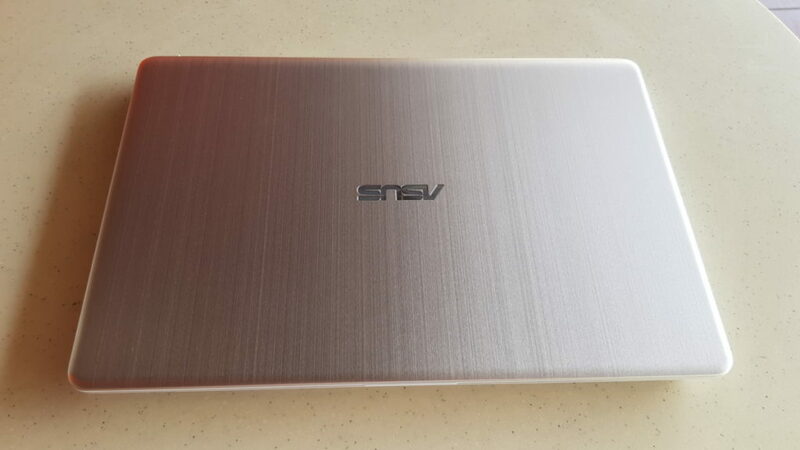 The ASUS VivoBook S15 S530U is their latest take on a general purpose laptop with some contemporary design thrown in for good measure. You cannot wander too far from the design and form factor of a laptop. 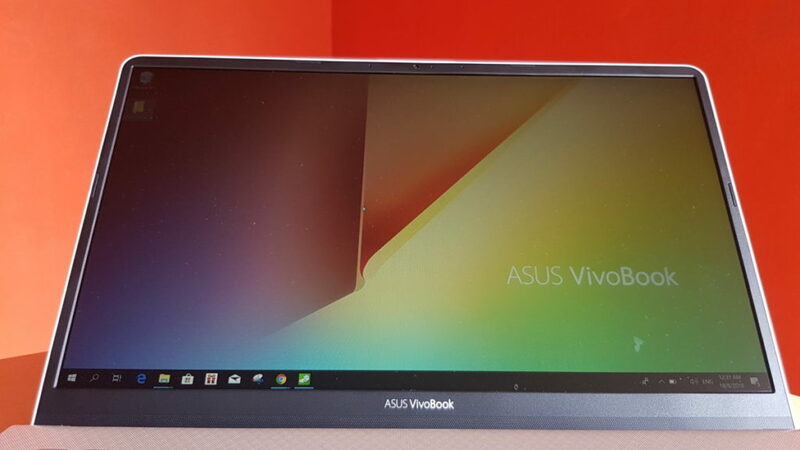 It is, after all essentially a display with a keyboard attached via a hinge and the hardware to run it sandwiched in between but Asus has managed to refine the concept even further with their Vivobook S15 S530U. The notebook comes in a host of different colours with some variants sporting different side trim with your choice of Gun Metal, Star Grey, Icicle Gold, Silver Blue and their signature colour, a deep shade of Firmament Green. 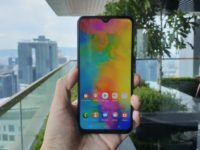 In Malaysia, the notebooks can be had in all five colours as well as two different configurations – a more affordable one sporting an 8th generation Intel Core i5-8550U processor, 4GB RAM a 128GB SSD and a 1TB hard disk along with a higher end one which has a bigger 256GB SSD and a beefier eighth generation Intel Core i7-8550U processor. Our test unit was the latter in Gun Metal which has its sides done up in a matte white finish with the rest of the notebook being otherwise a silvery brushed metallic gray. Externally, the VivoBook S15 S530U in Gun Metal strikes a very conservative look as opposed to the more adventurous colours in the line-up, like their Firmament Green model. 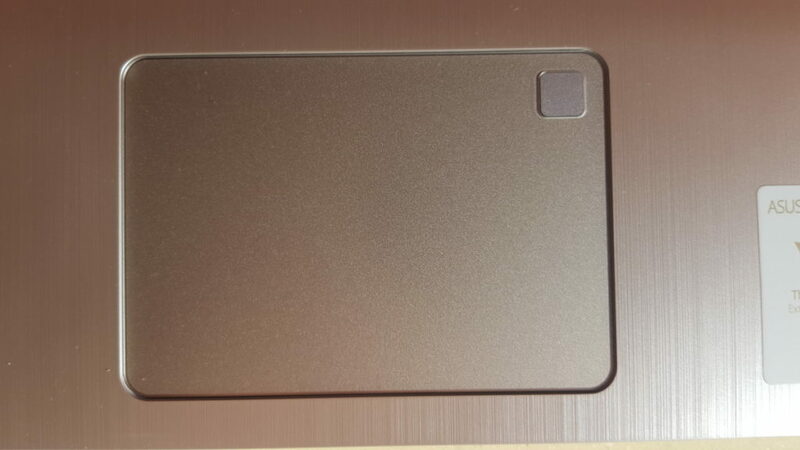 The top lid is a slab of polished aluminium that is bare save for the ASUS logo engraved on top. Flip the lid open and you reveal a well appointed chiclet-style backlit keyboard that, surprisingly enough, manages to incorporate a full-sized numeric keypad into its layout along with a generously sized trackpad with an integrated fingerprint reader in the corner and large wrist rests. The keyboard layout is otherwise excellent with a full row of dedicated function keys up top as well. Though, the biggest quibble is the placement of the power button in the upper right corner. Granted, it’s out of the way but there were several times that we accidentally turned the notebook off when trying to access the Numlock or stroke key. 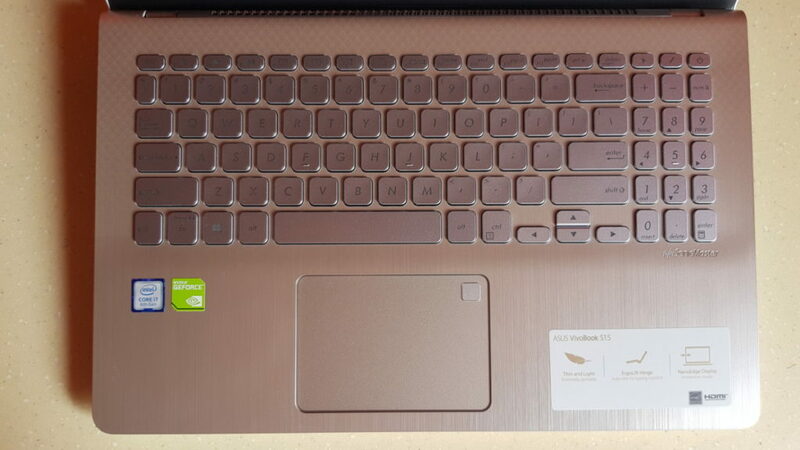 That aside, the keyboard has a rather unusual textured finish about it that lends it a touch of class. Where ASUS has improved the age-old design of a laptop is in its rather novel Ergo Lift hinge that elevates the angle of the keyboard by about 20 to 25 degrees. This offers a more comfortable typing angle with the option to angle the display down to about a 140-degree angle while still keeping a relatively similar pitch to the keyboard. When viewed from the side, the base of the top lid forms a raised ramp to elevate the notebook higher. It’s a simple adjustment but it makes a world of difference in terms of typing comfort. There’s also other tangible benefits as well as it helps with air circulation. Opening it is still a two handed affair though as there’s some initial resistance, presumably to keep the lid down but the mechanism is otherwise smooth and sturdy without wobbling once you’ve set your screen at the angle you desire. 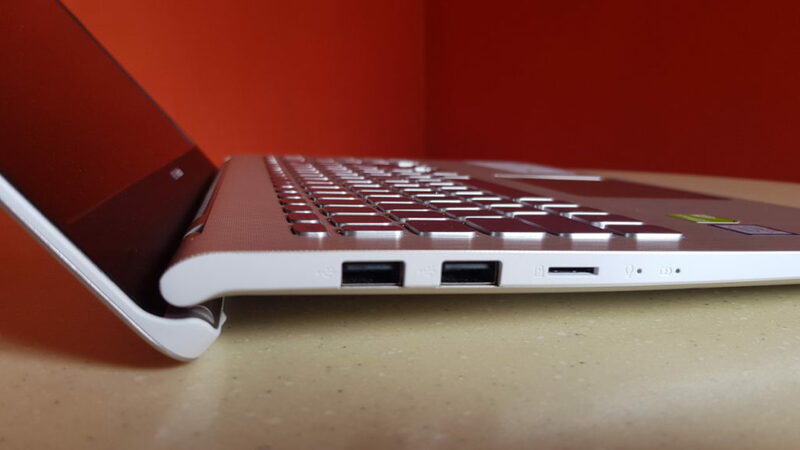 The right side of the notebook sports a power socket to charge the notebook, a HDMI port, a USB 3.1 Type-C, an audio combo jack and a USB 3.1 Type-A port. The left side comes with a pair of USB 2.0 ports and a microSD card reader. It’s a fairly diverse array of ports that covers all bases with enough USB connections for you to plug in additional peripherals if needed. The underside is otherwise unadorned save for the pair of downward firing speakers as well as a quartet of rubber pads to keep the VivoBook from accidentally sliding off a table into oblivion. 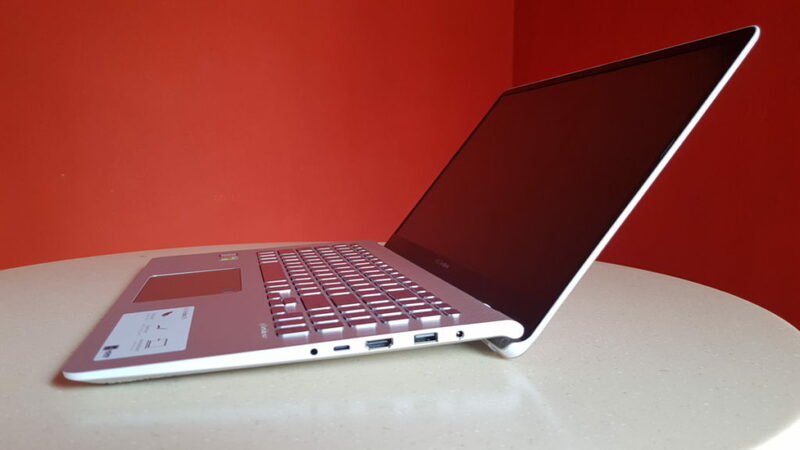 Overall build quality is sound with the top lid being hewn of aluminium and the body being otherwise made of a metal hued plastic composite to keep the weight down but there’s no give or flex with the top lid and the notebook feels sturdily built. Our test unit was the highest end variant which comes with an eighth generation Intel Core i7-8550U processor, 4GB DDR4 RAM, a 256GB SSD as the primary drive where the notebook’s Windows 10 OS is stored paired with a secondary 1TB hard disk for storage and an NVIDIA GeForce MX150 GPU with 2GB GDDR5 VRAM. The 15.6-inch NanoEdge display sports Full HD resolution and extremely thin 6.3mm bezels on the sides and top. Firing up the notebook from a cold start was gratifyingly fast with us arriving at the desktop in seconds. 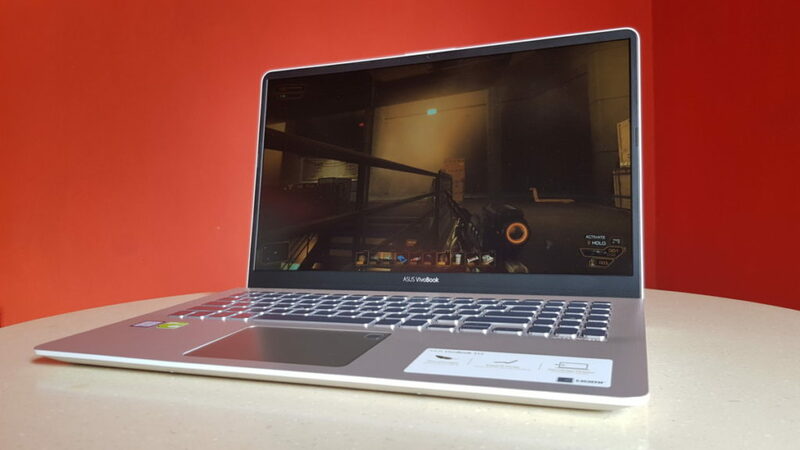 When subjected to the obligatory round of benchmarks, the notebook did modestly well on account of the powerful Intel Core i7-8550U processor and swift SSD while the provision of the GeForce MX150GPU allows for a modicum of last-gen gaming though it’s otherwise bottlenecked by the modest amount of RAM that comes stock with the rig. Fortunately, you can correct that oversight as you can slot in your own RAM up to 16GB which goes a long way to addressing that pickle. 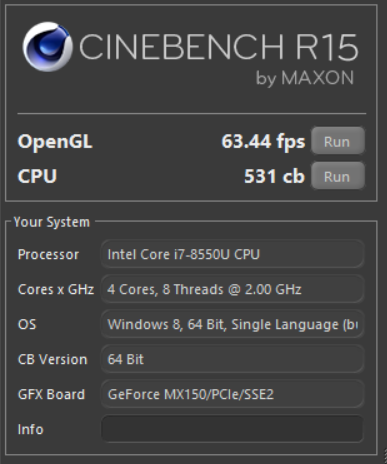 In Cinebench R15, it got a respectable 63.44fps in the OpenGL test and 531cb for the CPU. In PCMark, the VivoBook scored a fair 3,239 points while in 3DMark Timespy it yielded a modest score of 1,096 points while in FireStrike it got a score of 3,102. 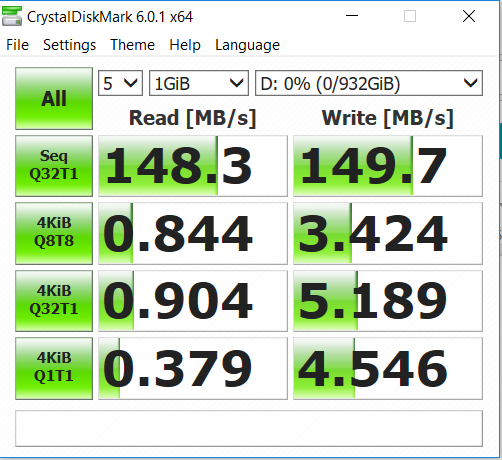 In CrystalDisk Mark, the SSD yielded pleasingly swift read/write speeds, which lends the notebook book some nimbleness on boot-up with the 1TB hard disk’s slower read/write speeds lending it more appropriate for larger files and storage. 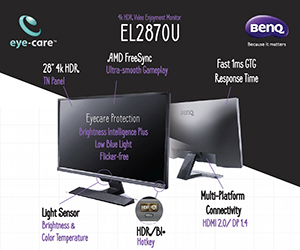 These are generally fair scores for an all-purpose work rig that give it an ability to handle work and a bit of light gaming. It was able to tackle a good dozen open Chrome browser windows with YouTube streaming on one window without keeling over along with Google Docs open in another window. It was also able to handle a modest game like Deus Ex: Human Revolution at 1080P with fairly smooth frame rates though loading times for the game average a couple of minutes of thumb twiddling. Fortunately, heat management on the Vivobook S15 S530U was on the ball with the unique raised design helping to keep the temperature of the chassis well in the black with just a slight sensation of warmth when conducting extended gaming. 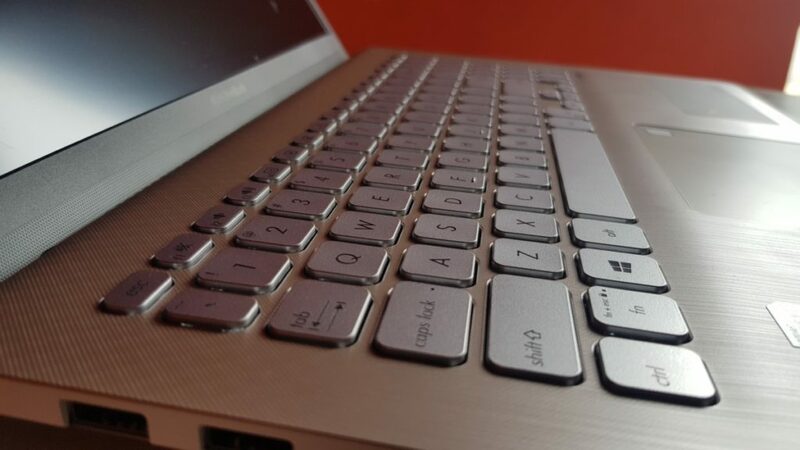 The keyboard itself offers about 1.4mm of travel which lends itself to a more comfortable typing experience and we were able to achieve a fair 46wpm or so even with unfamiliarity with the notebook’s wide keyboard layout. The addition of the full-sized numeric keypad to the right is most welcome, especially for those who perform a lot of number crunching and spreadsheets. The touchpad itself proved responsive and precise, allowing for an otherwise easy time navigating browsers and spreadsheets without undue trouble. The display offered pretty good colour rendition and text was relatively crisp as well. The downward firing speakers were likewise decent affairs with a surprising amount of volume and clarity, which lends the whole affair some chops as a means to watch movies on the go. Which leads to its next interesting conundrum. On paper the 3-cell 42Wh battery is theoretically able to provide about eight hours of battery life though in practice this falls short of the maximum. 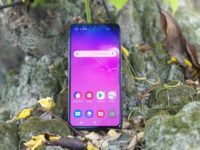 Away from the mains, we subjected it to a test indicative of a standard usage scenario with Wi-Fi constantly on, several open browser windows and heavy social media use along with some video or two via Facebook and YouTube as well as moderate screen brightness settings. The VivoBook S15 S530U sprints out of the starting gate with some promise but things flag by the halfway mark and after five or so hours it starts dipping precipitously enough that you’ll need to start finding a plug point. 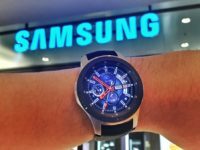 If you use it for gaming, battery life drops even more rapidly though it’s also dependent on a number of other factors including what game you play and other settings but it’s otherwise sufficient for day-long forays in the field. 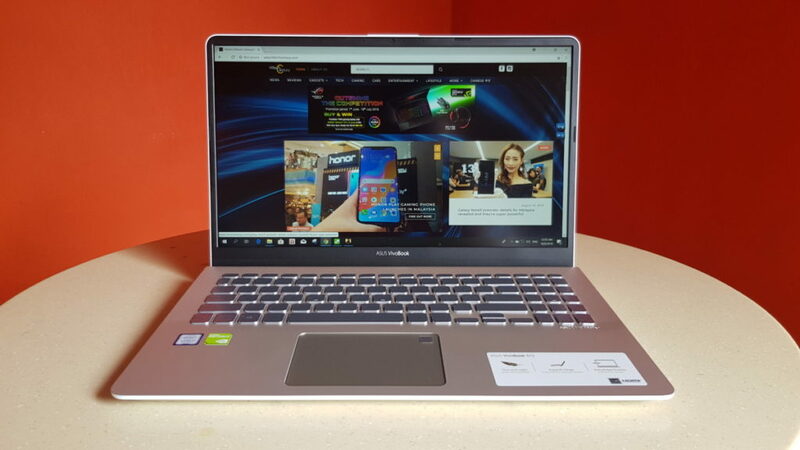 Power concerns aside, the VivoBook S15 S530U is an otherwise excellent blend of portability, performance and endurance. 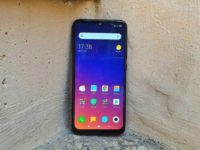 While it is a less than desirable option for a hardened road warrior demanding superb battery endurance and portability or an ardent gamer who needs scads of performance, it offers a fair blend of features and performance that makes it a decent jack of all trades. 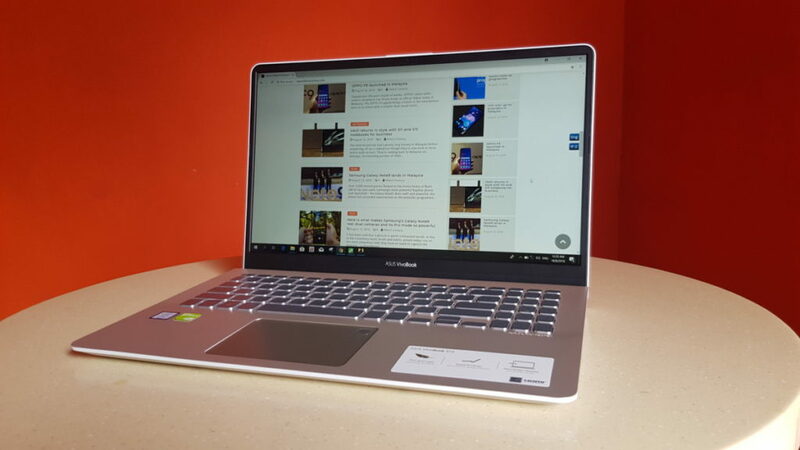 Granted, it’s not the cheapest option out there for general-duty notebooks but it comes with a fairly recent processor, solid build quality and a large, vibrant screen which goes quite a ways to make using it a pleasant experience. This is well worth your consideration if you’re in the market for a workhorse notebook. We say A well appointed workhorse rig that offers a full sized keyboard, good speakers and an excellent display though its modest endurance means its best suited for short day-trip forays out of the office. I was thinking of buying this laptop. 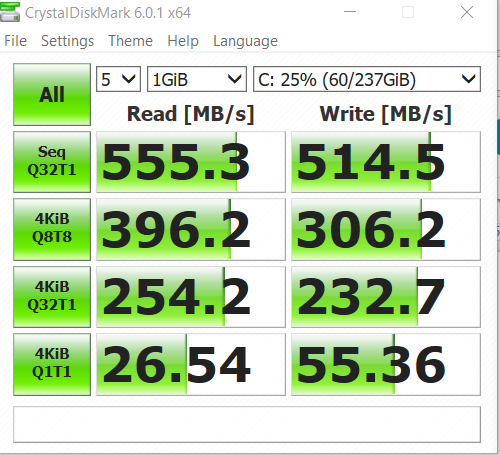 Can you tell me which variant of MX150 this laptop have because there are 2 variant one I think is called Max-Q is 30% lower. It depends on which colour you get FlorA. Some have a two-toned colour scheme like the green one while others have a consistent colour throughout its chassis.